History of Native Americans in photography: Horace Poolaw's images of Kiowa and other tribes. While many non-Indian photographers of the American West in the 19th and early 20th centuries made images of Native Americans with a variety of goals in mind (commercial exploitation; anthropological preservation; artistic production), Native photographers also stepped behind the camera to document their own communities. Among them, Poolaw left behind an exceptionally complete archive, which represents 20th-century Native life in Oklahoma as a fluid mix of traditional and modern cultures. 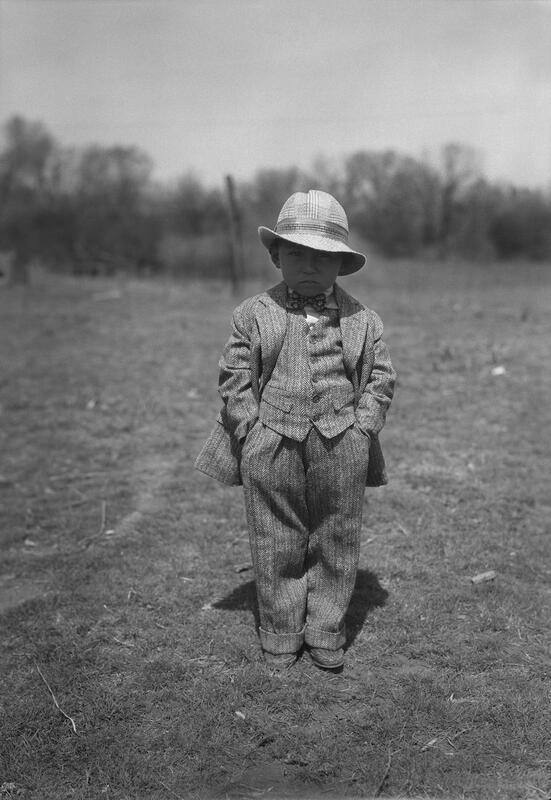 “Poolaw kept his pictures close,” historian Martha Sandweiss writes in a preface to the volume. He tended to produce images for their subjects only, selling some souvenir copies at fairs and gatherings, but not to “government publications or illustrated magazines.” As a result, the images feel personal and intimate. The scholars that worked on the exhibition unearthed many family stories to go along with the recovered negatives. They’re still trying to identify some of the people in the images; the NMAI would be happy to receive any relevant information. © 2014 Estate of Horace Poolaw. Horace Poolaw’s eldest son Jerry Poolaw (Kiowa), Mountain View, Oklahoma, ca. 1929. 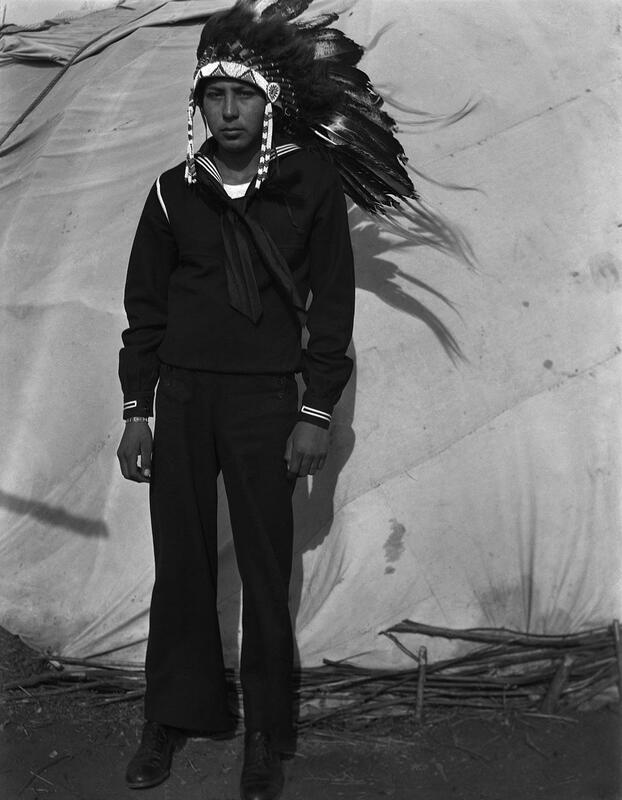 Jerry Poolaw (Kiowa), on leave from duty in the Navy, Anadarko, Okla., ca. 1944. 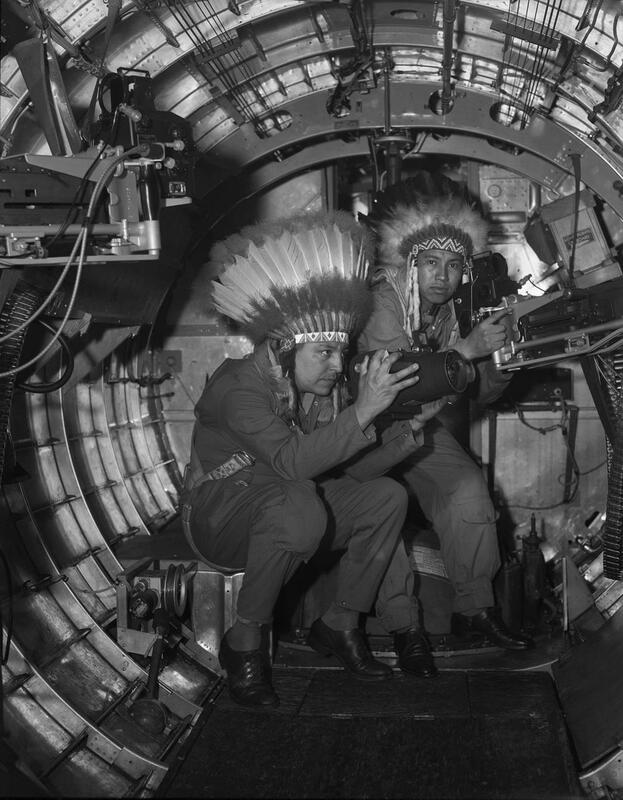 Horace Poolaw (Kiowa), aerial photographer, and Gus Palmer (Kiowa), side gunner, inside a B-17 Flying Fortress, Tampa, Fla., ca. 1944. 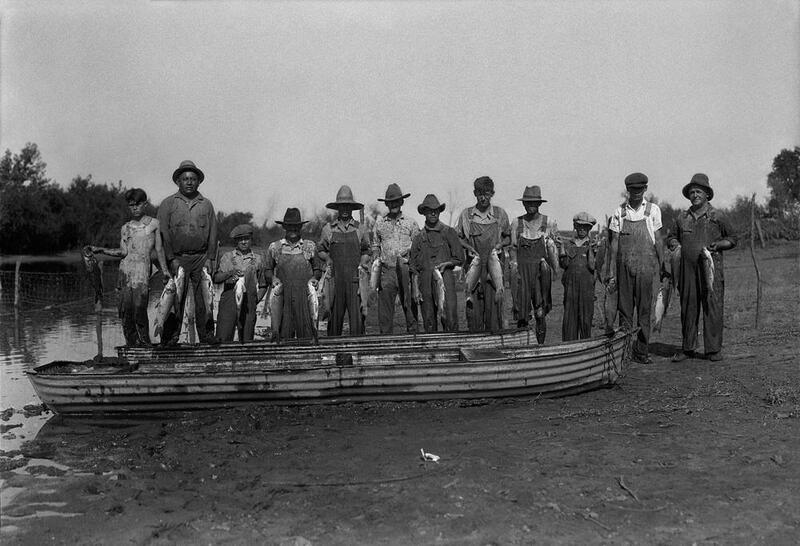 “Carp and catfish caught after a flood of the Washita River,” Mountain View, Oklahoma, ca. 1930. Unidentified men and boys, with the exception of Jasper Saunkeah (Kiowa), who stands second from left. 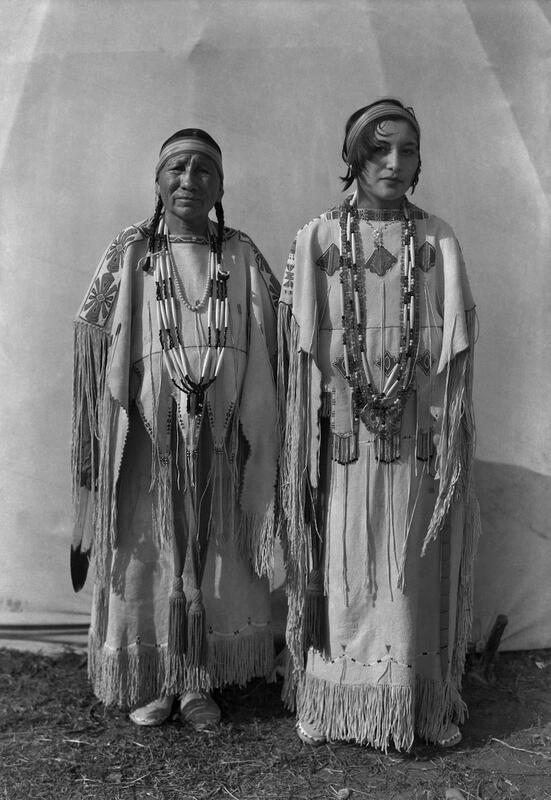 Sindy Libby Keahbone (Kiowa) and Hannah Keahbone (Kiowa), Oklahoma City, Oklahoma, ca. 1930.
the only other [historical photos] I had seen of Indians were the occasional images in textbooks, which were most often boarding-school portraits in which the Indians always appeared to be sad and stiff. 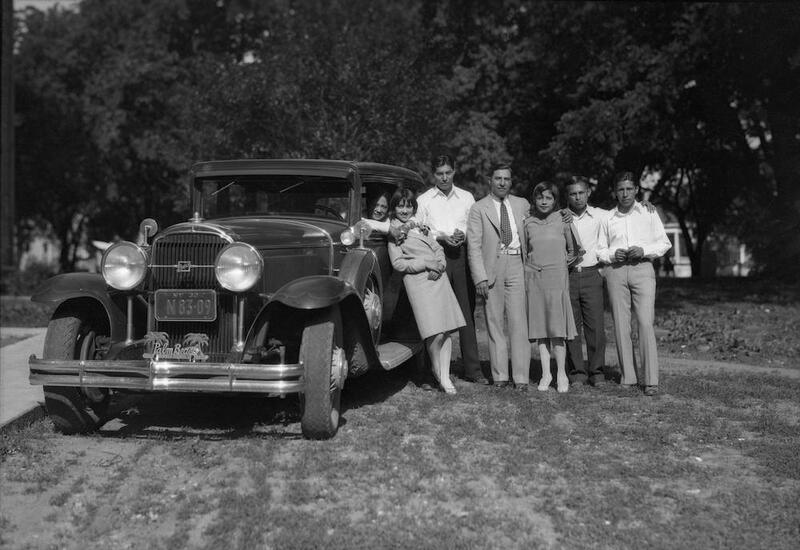 I enjoyed seeing my grandpa’s photo of sharply dressed Indians by a shiny car—they all looked so happy.